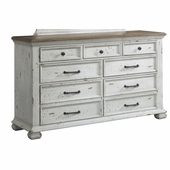 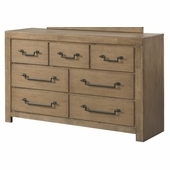 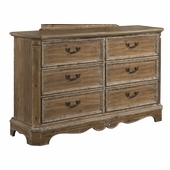 This Rustic Casual Dresser, in a rich Java Valspar finish with wire brush distressing, is sure to fit into any home. 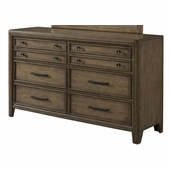 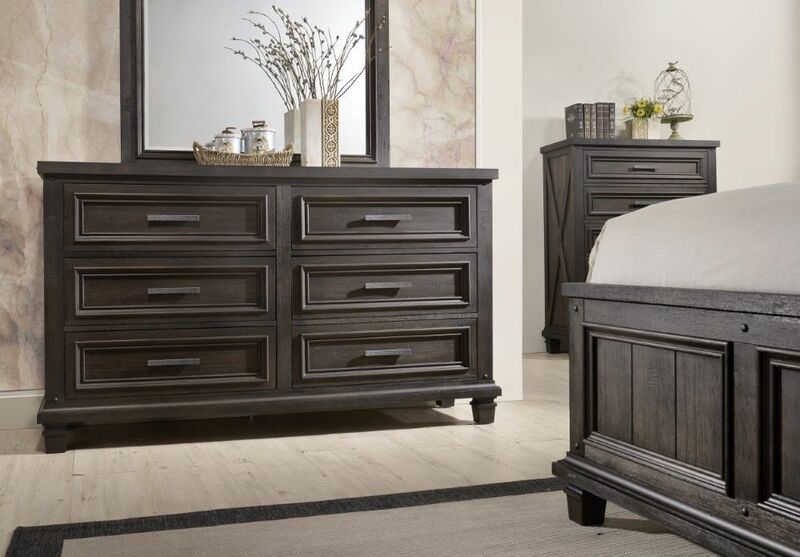 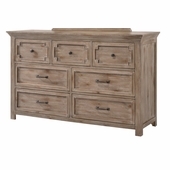 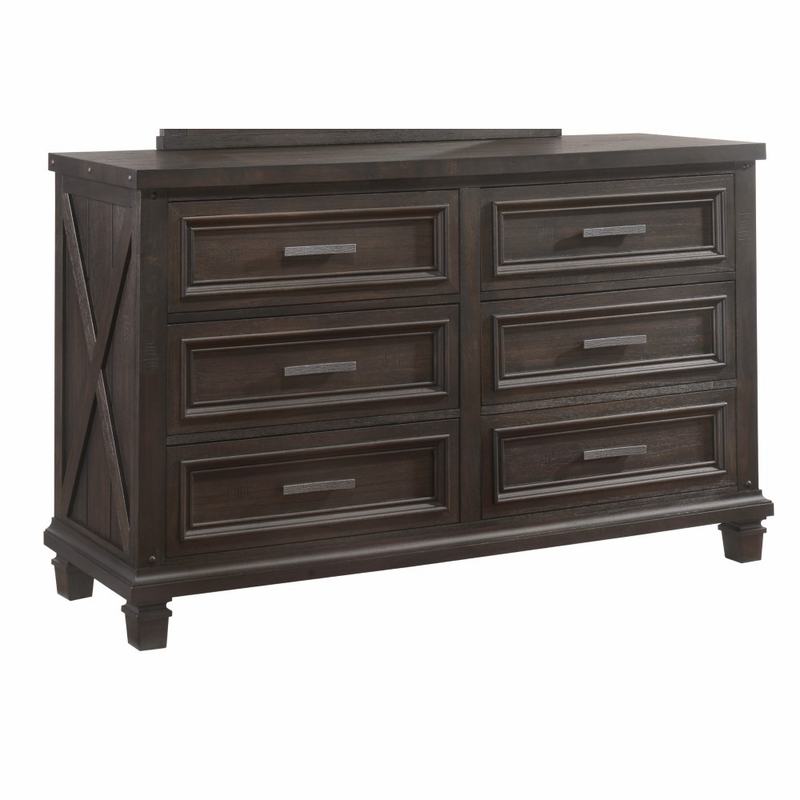 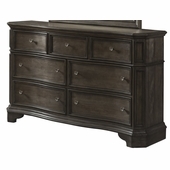 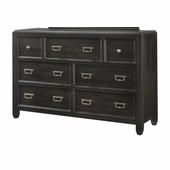 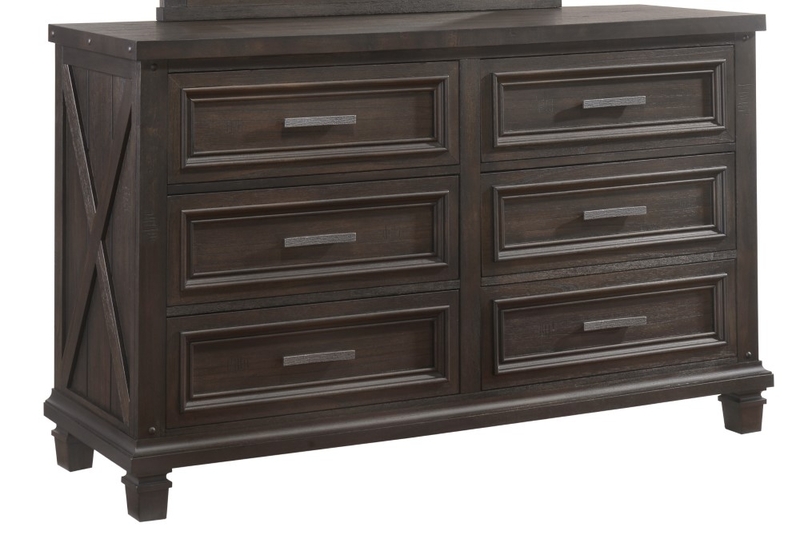 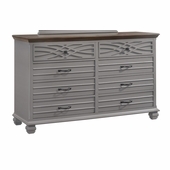 This handsome dresser features larger scale, with paneled framing, centered “X” design, and vertical planking details. All case pieces include easy opening drawers with snag free interiors that provide great utility & storage. 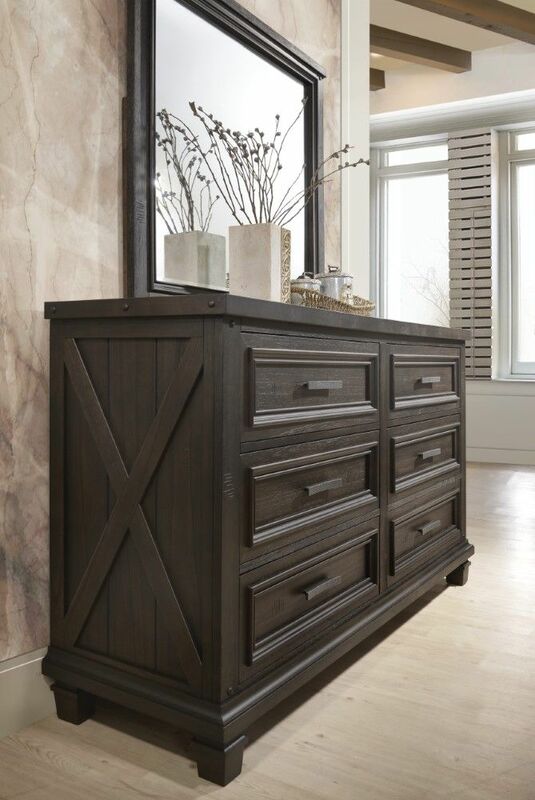 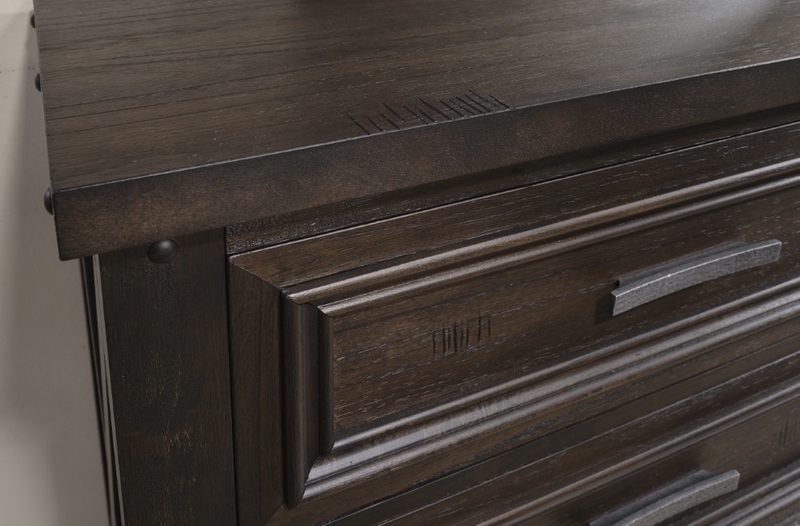 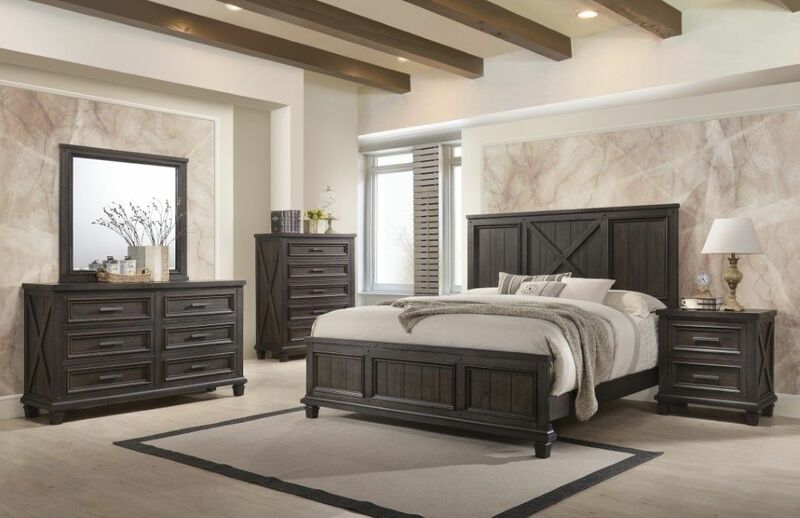 Over scaled & rustic hammer toned hardware, and cases with “X” side panel inserts add even more style to this stylish bedroom dresser. 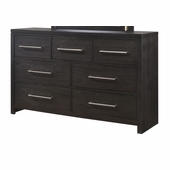 Mirror constructed with select veneers and hardwoods, center metal drawer glides, and reinforced corner block drawer bottoms.